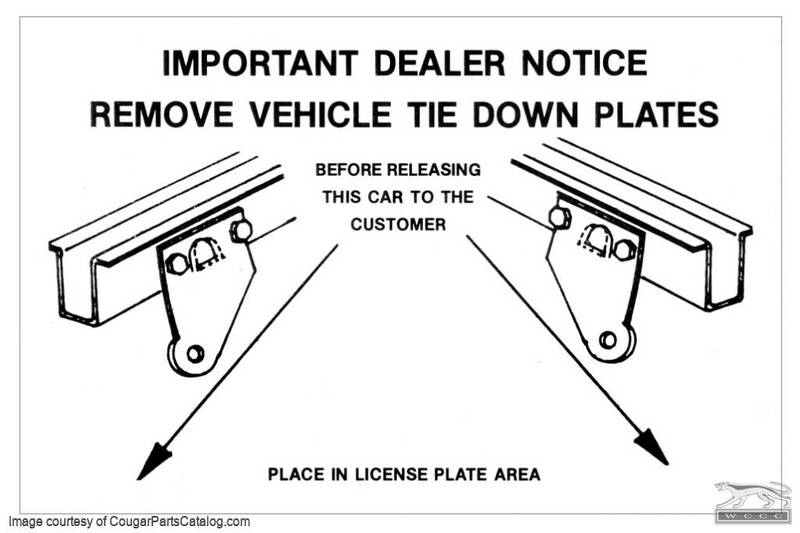 This is an accurate reproduction of the tie down notice decal that was placed on the rear license plate frame. This was to remind dealers to remove the tie down plates that were used to secure the cars to the transport trains / trucks on their way from the factory to the dealers. Ford wanted to recycle these plates to save money, but dealers often didn't feel it was worth their time to remove the plates. Thus, many cars still have them. Check yours out!